Shifts in Recycling Industry in Vt.
Chittenden Solid Waste District says upcoming small increases in charges stem from recent policy changes in China. CSWD said an average household in the Burlington area will soon pay around $8 a year in increased fees to cover costs. The estimated increase will come through an additional $30 per ton fee charged to trash and recycling haulers. Massive shifts in the recycling industry worldwide are now trickling down to Vermont consumers. The Chittenden Solid Waste District, a major processor of recycled material, said upcoming small increases in charges stem from recent policy changes in China—and should encourage consumers to get smarter about what they toss out. CSWD’s Materials Recovery Facility, or MRF, in Williston used to produce revenues through its paper operation, with the facility saying importers in China once paid roughly $100 a ton for recycled newspapers, junk mail, magazines, and boxes. Now, though, CSWD has to pay to send those same bundles of paper to other recyclers, the district said. CSWD explained the change came when customers in Asia cut way back on imports early this year due to new, stricter standards for the type of materials they’ll accept. China only wants shipments with few impurities—like the plastic bags or bottles that often end up getting mixed into paper bales. That shift in the global market for recycled material is now trickling down to homeowners here in Vermont. CSWD said an average household in the Burlington area will soon pay around $8 a year in increased fees to cover costs. That estimated increase will come through an additional $30 per ton fee charged to trash and recycling haulers, CSWD said in a recent communications newsletter. Amid the upheaval in business changes in the worldwide market for recycled material, the MRF is now asking for help to clean up its large paper bundles and make them more attractive to domestic buyers with high standards for paper purity. It’s asking folks to study what belongs in the recycling in the Vermont district it serves, and what doesn’t. For more information on what can be recycled through CSWD, visit this website and look for the “How do I get rid of this?” feature. 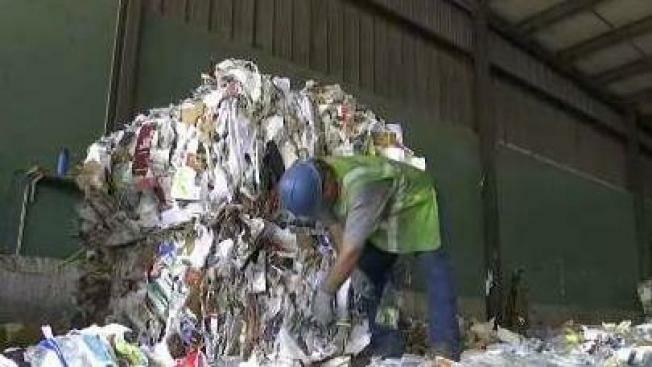 CSWD said it is working with industry insiders to figure out how to better manage recycled paper material, and how to better meet the specifications of the paper industry.